It’s ‘trials day’ on Saturday as a whole host of horses put their Cheltenham credentials on the line with the Festival now only six weeks away. Sandown features the Contenders Hurdle for prospective Champion Hurdle candidates plus the Scilly Isles Chase, where the season’s best novices will battle for bragging rights ahead of the Arkle Chase on the opening day of the festival. With Yanworth rulled out through injury, stable companions Buveur D’Air and Brain Power clash with the former having his attentions returned to hurdles after a brief novice chase campaign. The Scilly Isles looks very competitive and should prove informative, while the handicaps at Sandown also look set to feature some top class horses, headed by Garde La Victoire in the 1.15. The eight-year-old will be popular with punters after winning here last time out but he still doesn’t convince with his jumping and I much prefer the claims of novice Starchitect, who looks a natural over fences. David Pipe’s strong travelling youngster has twice run well at the Festival and he looks well capable of landing this off a mark of 143 en route to Cheltenham. In the staying chase at 3.35 I like the look of Beg To Differ, who went well for a long way behind Gold Cup contender Native River last time out and, having been dropped 3lb in the handicap, looks feasibly treated back at a course where he won last season. At Wetherby, the feature race is the Towton Chase which was won last year by Blaklion, who went on to victory in the RSA Chase at Cheltenham. French exile Calett Mad looks set to be favourite on Saturday and this very strong traveller looked good when landing a Taunton handicap last time out. Warren Greatrex’s seven-year-old was disappointing on his debut over fences but bounced back with an impressive win in heavy ground last month following a breathing operation. This will be far tougher though, and if it turns into a slog his stamina will be tested to the limit. I’d prefer to look elsewhere for value and Missed Approach is the one to be on. I like his chances, especially if the ground does come up very soft. He may have most to fear from the teak-tough Delusionofgrandeur. 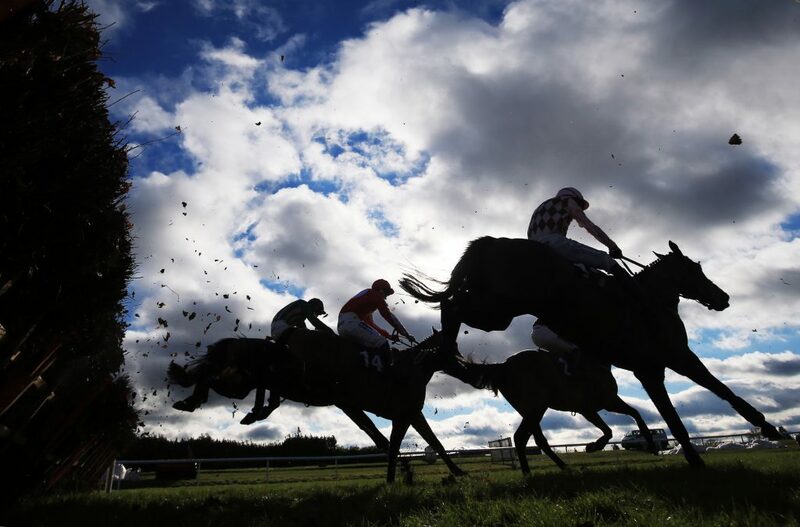 Musselburgh in Scotland holds a terrific two-day ‘Trials’ fixture over the weekend which is always well supported by the southern-based trainers, who like to make use of what is expected to be good ground. Day one features the inaugural running of the Edinburgh National over 4m, in which the improving Gonalston Cloud is expected to go well providing his tough schedule hasn’t caught up with him. However, Sunday’s card is of higher quality and I like Kilcrea Vale in the 2.10, the Future Champions Novices Chase. He got stuck in the mud last time but could bounce back here. The Brian Ellison-trained Ballycrystal is entered in both the 3.40 and 4.10 and this promising young horse should be followed whichever assignment he is given.